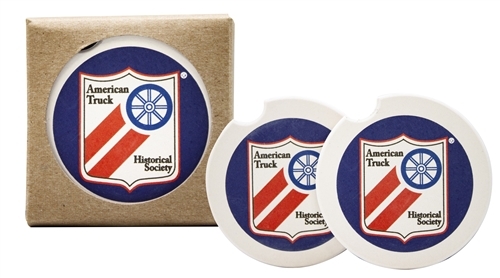 ATHS boxed set of 2 absorbent Stone Coasters. Keep your truck/car cup holders clean with moisture absorbing stone coasters. American Truck Historical Society logo in the middle of each coaster.